Prof Jill Banfield, CeBER Collaborator and Fellow of the UK Royal Society, has returned to CeBER for a much anticipated research visit from the 17th July to the 10th August 2018. Prof Banfield is an earth scientist whose lab is based at the University of California, Berkeley. 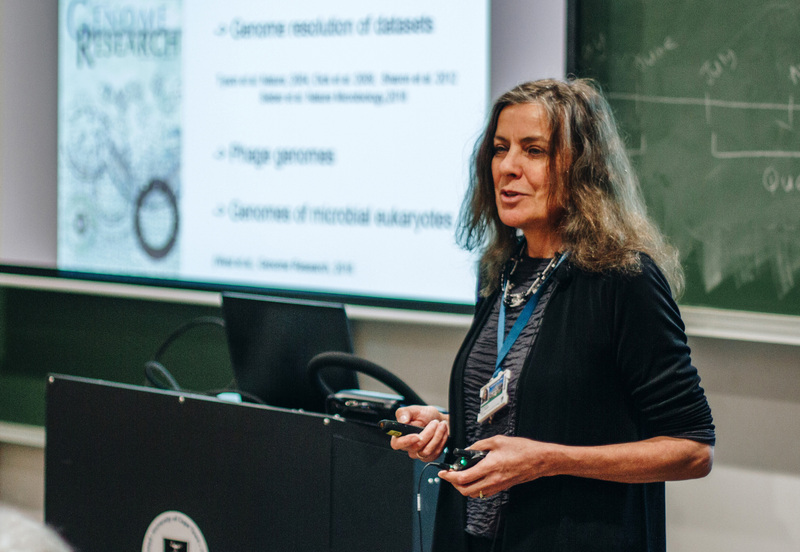 Through genomics, her research group has provided revelation into previously mysterious bacterial and archaeal lineages, leading to a new rendition of the Tree of Life. Prof Banfield provided insight into this research in her seminar delivered to CeBER on the 2nd August 2018. CeBER first hosted Prof Banfield at the end of 2012 when she joined the group for a three-month sabbatical. Since then, there have been multiple research visits and joint investigation towards the effective biological decontamination of mining wastewater through microbial degradation of thiocyanate. CeBER look forward to many more opportunities for collaboration with the Banfield Lab in the years to come.